שימו לב המחיר לארץ זול יותר מאשר בבריטניה! DURABLE DESIGN: SanDisk Solid State Drives have a durable solid design which is engineered to resist vibration and shock, helping to keep your data safe over time. ULTRA FAST: This solid state drive performs up to 20x faster than a typical hard disk drive, with sequential read speeds of up to 535MB/s. You will appreciate an overall better computer experience! IDEAL FOR TYPICAL PC WORKLOADS: Delivering SLC caching which boosts burst write performance, the SanDisk SSD is ideal for typical PC workloads such as web browsing, email & audio/video entertainment. 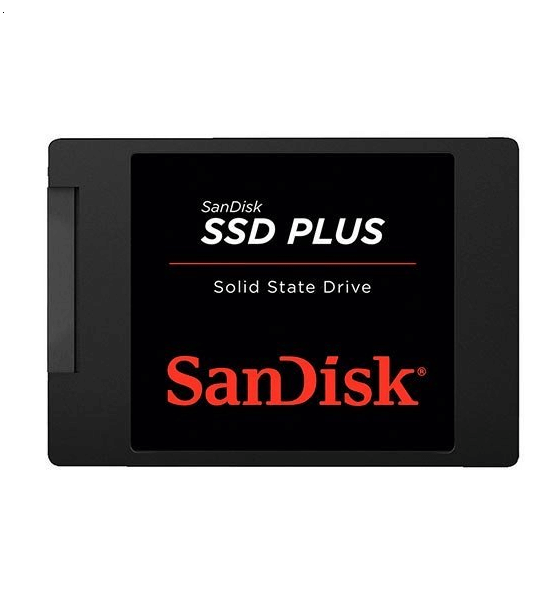 EASY TO SET UP: The SanDisk SSD Plus comes with easy, step-by-step instructions regarding how to set up your new drive. It also comes with a cloning software. ABOUT SANDISK: One of the largest manufacturers of flash memory products, the Californian company has been at the forefront of flash technologies for over 30 years.